Sharon McDonough is an academic in the Faculty of Education and Arts. She began working in teacher education after a 16 year career as secondary school teacher. She has an interest in working in collaboration with schools and the Galleries, Libraries, Archives and Museum (GLAM) sector to provide learning opportunities for pre-service teachers, and is committed to supporting the ongoing learning of pre-service teachers, teachers and teacher educators. Since 2015 Sharon has been the ECR/ HDR representative on the executive of the Australian Teacher Education Association. She was one of the editors of Teacher Education: Innovation, Intervention and Impact, the 2016 Springer publication showcasing the research of those involved in ATEA. In 2013 she was awarded an Office of Learning and Teaching National Citation for Outstanding Contributions to Student Learning. She research in the fields of: self-study; teacher emotion and embodiment; and mentoring. She is also interested in the role social media plays in academic work and is the Australian host of Shut up and Write Tuesdays, a virtual writing workshop for academics that provides a supportive online academic community. 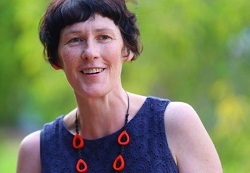 She also writes a regular column, Text, Twitter and Tweet for Practical Literacy, a publication of the Australian Literacy Educators’ Association, which focuses on the use of social media and digital technologies in teaching. Master of Education Studies (Minor thesis): Jason Hutchins – Using academic planning models to develop curriculum for the learning of 21st century skills – A case study of an off campus program. Master of Education Studies (Minor thesis): Christopher Wines- It’s part of my life. Brandenburg, R., & McDonough, S. (2016, in press). Using critical incidents to reflect on Teacher Educator Practice. In R. Brandenburg, K. Glasswell, M. Jones, & J. Ryan. (Eds). Reflective theories and practices in teacher education. Singapore: Springer. Brandenburg, R., McDonough, S., Burke, J., & White, S. (2016). Teacher education research and the policy reform agenda. In R. Brandenburg, S. McDonough, Burke, J., & S. White. (Eds). Teacher Education: Innovation, Intervention and Impact, (pp.1-14). Singapore: Springer. McDonough, S. (2016, in press). Playing, moving and shifting: Finding your academic voice. In C. McMaster, C. Murphy, I. Mewburn & B. Whitburn. (Eds). Postgraduate Study in Australia: Surviving and Succeeding. Peter Lang. McDonough, S. (2013).Learning to Think Like a Teacher Educator: Pedagogy, Practice and Performance in R. Brandenburg & J. Z. Wilson (Eds.). Pedagogies for the Future: Leading Quality Learning and Teaching in Higher Education (pp. 61- 73). Rotterdam: Sense. O'Dwyer, S., McDonough, S., Jefferson, R., Etudes, J.J., & Redman, M. (2016). Writing Groups in the Digital Age: A case study analysis of Shut Up & Write Tuesdays. In Esposito, A. (Ed). Research 2.0 and the impact of digital technologies on scholarly inquiry. IGI Global. McDonough, S., & Brandenburg, R. (2012). Examining assumptions about teacher educator identities through self-study of mentoring roles. Studying Teacher Education: A journal of self-study practices. 8(3), 169-182. Reid, J., McDonough, S., Bown, K., Santoro, N., Mayer, D., & Singh, M. (2013). Learning the business of teacher education research: Editorial work as capacity building. Asia-Pacific Journal of Teacher Education, 41(4), 345-349. Forgasz, R., McDonough, S., & Berry, A. (2014, August). Embodied approaches to S-STEP research into teacher education emotion. Paper presented at International Conference on Self-Study, Herstmonceux Castle, East Sussex, England. Brandenburg, R., & McDonough, S. (2014). Elaborated pedagogies’ in action: Using research to make visible teacher educator practice, pedagogy and outcomes. Paper presented at Australian Association for Research in Education Conference, Brisbane, Queensland. Brandenburg, R., & McDonough, S. (2012, July). When worlds collide: The tensions of teacher educators personal and professional values. Paper presented at the Australian Teacher Educators' Association Conference, Adelaide. Burke, J., McDonough, S., Redford, M., & Coker, H. (2016). Developing international partnerships for teacher education through digital platforms: Possibilities for transformational partnerships. Paper presented at Australian Teacher Educators’ Association Conference, Ballarat, Victoria. Cooper, M., Sellings, P., McDonough, S., & Davis, R. (2016) Am I really ready? Perceptions of pre-service teachers about their classroom readiness. Paper presented at Australian Teacher Educators’ Association Conference, Ballarat, Victoria. Cooper, M., Brandenburg, R. McDonough, S., Albon, N., Fish, T. (2014) Paradoxes and Synchronicities. Paper presented at the Australian Teacher Educators’ Association Conference, Sydney, NSW. Downey, T., Lloyd, D. & McDonough, S. (2001, November). Learning and identity: The intersection of micro and macro processes in identity formation for students and the community in a small rural town – the Wesley experience, Australian Association for Research in Education (AARE) Annual Conference, Fremantle. Keltchermans, G., Forgasz, R., McDonough, S., & Moran, W. (2013). Body, ethos and emotion: Bringing forgotten dimensions of teacher professionalism back to the research forum. Discussion Room presented at ISATT 203- 16th Biennial of the International Study Association on Teachers and Teaching, Ghent, Belgium. Lloyd, D., & McDonough, S. (2001, November). The self, the spirit and the social being: The formation of adolescent identity within community - Wesley College at Clunes, Australian Association for Research in Education (AARE) Annual Conference, Fremantle. McDonough, S., & Brandenburg, R. (2015). Using self-study of teaching to research teaching practice and improve learning. Paper presented at Australian Teacher Educators’ Association Conference, Darwin, Northern Territory. McDonough, S., & Brown, M. (2012, July). If you can teach, teach teachers: Reshaping the puzzle pieces of teacher education. Paper presented at the Australian Teacher Educators' Association Conference, Adelaide. McDonough, S. (2014). Dilemmas in working with pre-service teachers: Using critical reflection to articulate pedagogies for mentoring. Paper presented at Australian Association for Research in Education Conference, Brisbane, Queensland. McDonough, S. (2014). Third space communities of practice for learning about teaching: Collaborative curriculum construction. Peer refereed paper presented at Australian Teacher Educator Association conference, Sydney, Australia. McDonough, S. (2013). Navigating the ties that bind: Using narrative to explore mentoring in the third space. Paper presented at AARE Conference, Adelaide, Australia. McDonough, S. (2011, July). Tackling the tough times: Teacher emotions in times of change, ISATT 2011- 15th Biennial of the International Study Association on Teachers and Teaching, Braga, Portugal. McGraw, A., & McDonough, S. (2015). Looking and learning in classrooms: Using the See, Think, Wonder routine to examine learning and teaching in the moment. Paper presented at Australian Teacher Educators’ Association Conference, Darwin, Northern Territory.